Andrea B. White is a partner with the firm. Her practice is exclusively devoted to Family Law. She assists clients in divorce, custody, parenting time, child support, alimony and domestic violence issues. Ms. White is certified by the Supreme Court of New Jersey as a Matrimonial Law Attorney and is qualified pursuant to R. 1:40 to mediate family law cases. She also has been admitted as an Attorney and Counselor of the Supreme Court of the United States since 2006. Ms. White is a Past Chair of the New Jersey State Bar Association, Family Law Executive Committee and is a Senior Editor for the New Jersey Family Lawyer. 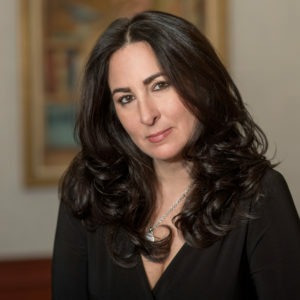 She also is a member of the American Association for Justice, New Jersey Chapter, a past Chair of the Certified Attorney Section of the New Jersey State Bar Association and is on the Court Roster of approved Economic Mediators. Ms. White also serves as a panelist in the Monmouth County Early Settlement Program as well as lectures on family law issues. She served three terms as Co-Chair of the Monmouth Bar Family Law Committee and is a member of the Monmouth Bar Association, and the Ocean County Bar Association. Ms. White was the 2013 recipient of the Monmouth Bar Association Family Law Committee Award. Ms. White served as a judicial law clerk to the Honorable Clarkson S. Fisher, Jr. in the Superior Court of New Jersey, Chancery Division, Family Part.